After an exhausting day of presenting to the judges, Raina and I woke up for another early morning- this time to present our projects to the public. 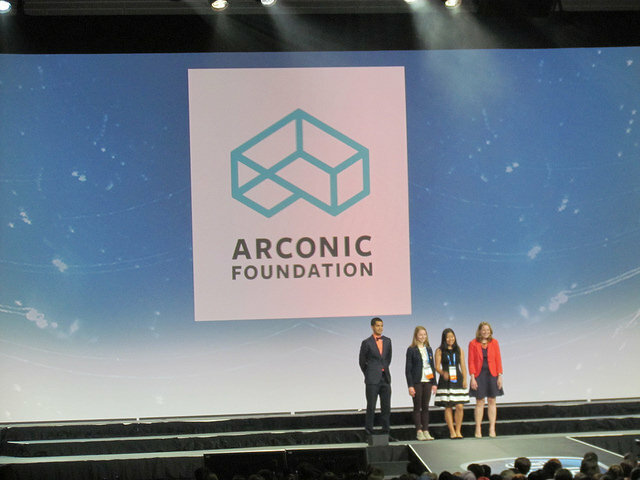 Throughout the day, hordes of ambitious middle school students, fellow ISEF finalists, and inquiring adults stopped by the awe-inspiring ISEF projects. In this way, I was able to participate in countless discussions with finalists from Puerto Rico, Israel, Mexico, and Australia, about their projects and how they see its impact in the years and decades to come. One of my favorite moments from the public viewing day was when I was stopped by a young man as I was packing up my circuits on display. I was getting ready to leave for my room when he asked me to explain my project. He listened intently, and was keen about asking questions. He then explained that he was from Zimbabwe, and that it was the nation’s second year competing at Intel ISEF. After, he mentioned that he was looking for projects that could inspire young Zimbabwean scientists, especially in the medical field. We exchanged emails, and I came to realize that I had lost sight of the true impact of a science fair in the midst of setting up posters and yesterday’s hectic judging. 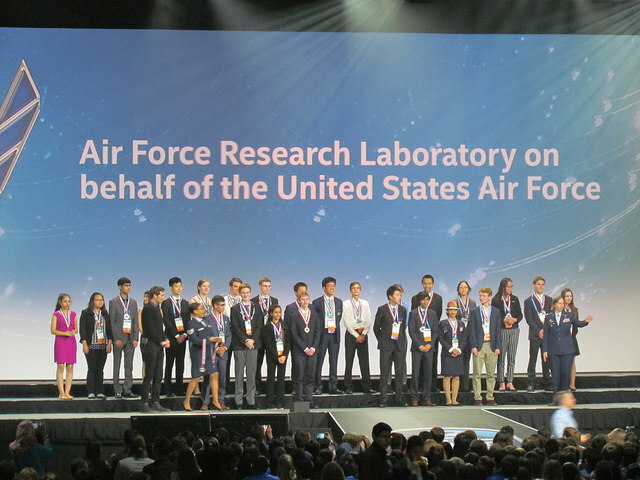 As a result of this experience, the way I perceived this week has changed in that I now recognize the true impact that a science fair of this caliber can have on younger generations around the world. as Raina, Keshav, Cristian, Srikar, and Shobhi walked up on stage to receive their awards! Go team Connecticut! Following the exciting ceremony, we took a trip to Bill’s Bar and Burger where we each had a scrumptious dessert, and were given our final announcements for the evening, in addition to a special parting gift to remember our adventures in Pittsburgh. The experiences I had today made it one of my favorite days at ISEF. That being said, I can’t wait to see the results of tomorrow’s Grand Awards!